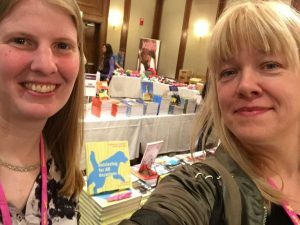 We’ve been to the US to visit Clicker Expo and mingled with dog trainers there. 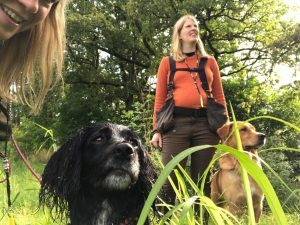 Among other things that resulted in us being interviewed on the US dog trainer Hannah Brannigan’s nice and charming podcast with the wonderful name “Drinking from the toilet”. We also spent some time sightseeing in New York when we were in the US – it’s great to be able to combine business and pleasure. We also had a great weekend in Finland where each of us met a group of ambitious, positive handlers and dogs with hunting ambitions. Lena had a whole bunch of spaniels and Elsa lots of retrievers. 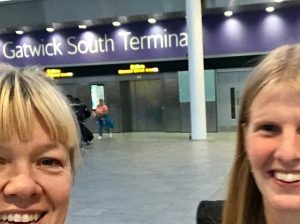 This was Lena’s first time giving a seminar in English – slightly nervous but with some good help from kind course participants everything went very well. We probably never had this many people in one seminar before – there were observers everywhere and it was soo much fun! We’ve also been hanging around in Denmark, Norway and Switzerland giving seminars this year. 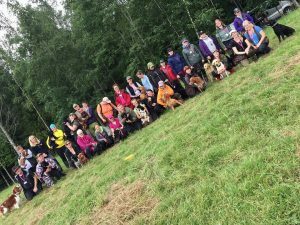 And we’ve of course had all our courses in Sweden: in Sundsvall, Uddevalla, Kungsbacka, Ale, Borås, Landvetter, Motala, Göteborg, Arvika … and our summer camp in Väla outside Borås. Furthermore we developed our online courses. 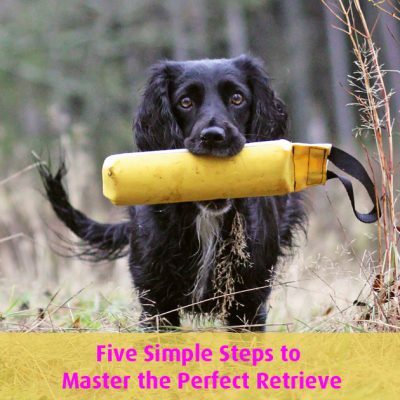 The free online course “Five Simple Steps to Master the Perfect Retrieve” became very popular. 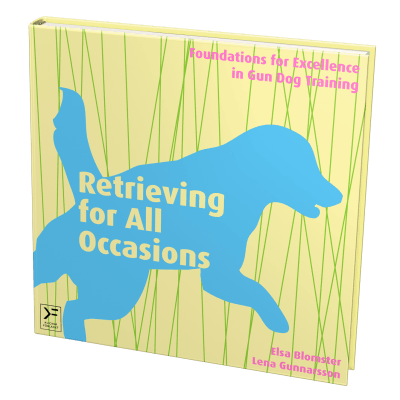 Just before Christmas we released our latest online course, “Recall according to Retrieving for all Occasions” (that you can get for a discounted price for two more weeks). 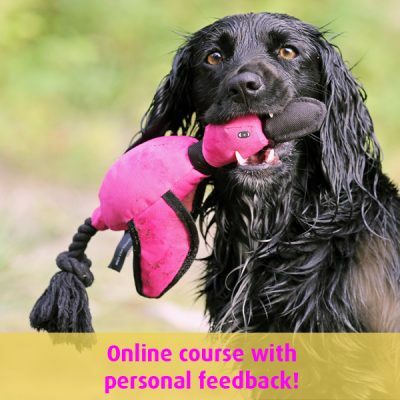 We’ve also started an exciting cooperation with the Norwegian dog trainers Thomas Stokke and Astrid Weider Ellefsen when we started the course “Reward based spaniel training – foundation class”. For us as dog trainers it’s been a year full of learning. Lena’s been to nine (!) trials thanks to being able to borrow Kat the cocker spaniel who’s in the winner class and therefore could start in her first Swedish Championship. That wet her appetite so now Lena aims at having a dog ready for the championships every year. 😉 Later on we’ll publish a blog post on what happened and what they’ve learnt during their trialing season – lots of learning, lots of new insights and new things to think about when training. Lena learns the hard way and by making a bungly handler mistake she set a new record in her shortest time in a trial – 15 seconds. Lena’s cocker girl Tassla has become and experienced hunting dog and this hunting season their team spirit has grown strong. 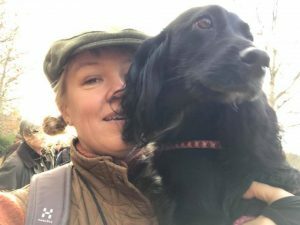 Lena has started to shoot and the goal for next year is to be able to hunt over her own dog(s), so far she’s just been shooting over other’s dogs. 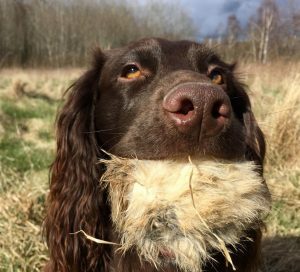 There’s a lot of things to keep track of when hunting with a spaniel. 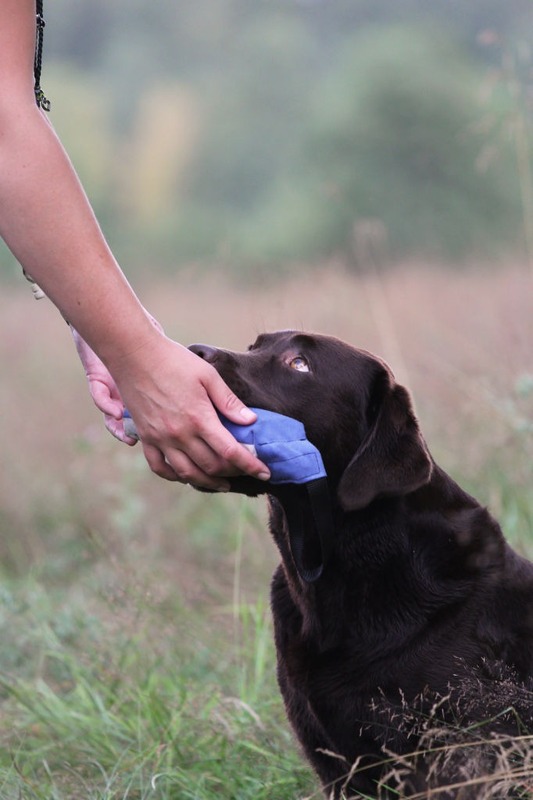 You’re should handle your dog – and then shooting at the same time requires a dog that you can trust to do it’s work independently and in the right way as well as feeling secure when shooting. But, it’s so much fun! 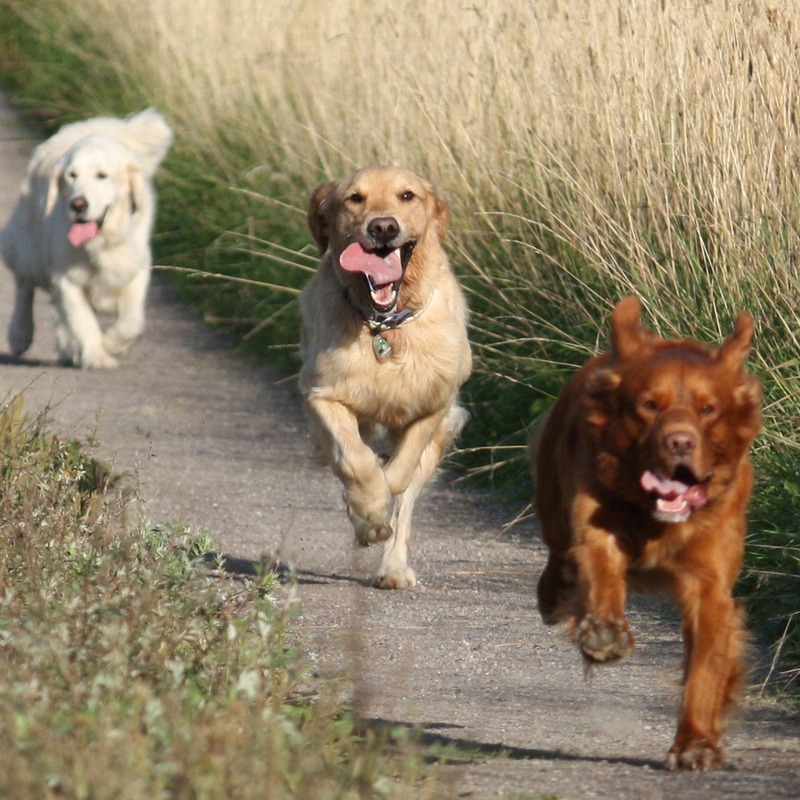 Both Elsa and Lena has young dogs that make us better as trainers and dog people. 🙂 It hasn’t been, and still isn’t, very easy with any of them. Lena’s Quling – who’ll be 2 years old son – also has a nondescript upset stomach that makes it difficult for him from time to time. He’s currently being thoroughly examined and tested by a veterinarian and we’re seeing the light at the end of the tunnel. Quling is also a complete hunting maniac combined with being very soft so he’s been quite difficult to train. Since he had such a low self confidence and stopped working when things went just slightly difficult Lena decided to take an entirely other rout than she had planned with him. She put the hunting training on the shelf and started shaping fun tricks, train agility and made sure to strengthen his recall a great deal. It’s proven to be a great plan! Quling is happy, more confident, has started to play properly and their team spirit has become much better. So they will continue down that road! 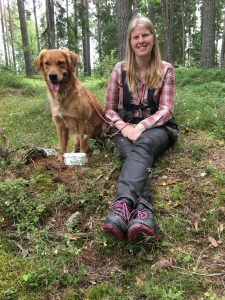 Elsa has also got a dog that develops slowly and during his first year she had to work like crazy with Seekers delivery to hand since he to start with, not even by mistake, wanted to deliver objects to Elsa. 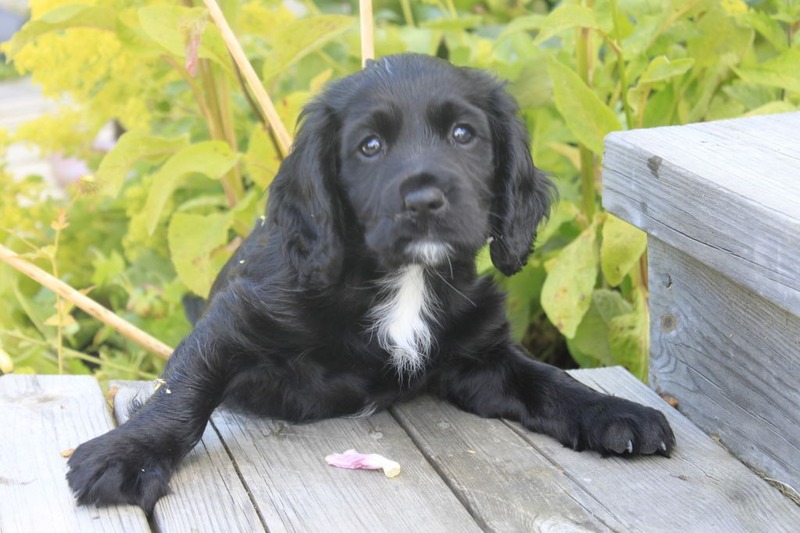 NOW he’s a dog with very nice deliveries – they’ve even been praised for their deliveries during trials. 🙂 This year Seeker has developed more, but he is still a dog that needs a lot of help to handled situations with a lot of other dogs since he easily gets distracted if any of the other dogs are unorderly. Elsa has tried to train a lot in groups where Seeker gets lots of good experiences and nothing weird happening. They’ve also participated in as many training trials as possible and Seeker has made his first start at a cold game trial. Every trial has given information on what works and what doesn’t – a few of the experiences might have been slightly frustrating if you ask Elsa … A great challenge for Seeker is self control and heel work is quite unnecessary in his world 😉 But Elsa might be the most stubborn person on Earth so she continues to practice diligently. Her analysis about the cost of that self control for Seeker turned out to be a key to solve a few of the challenges. 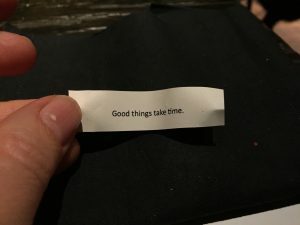 Now Seeker has a resting period since Elsa is due to give birth any day, and since we believe that rest is a great way to let the dog develop and “think things over” that’s probably not a bad idea. Seeker has also been training and competing in nose work with Elsa’s husband during the year – great training for him to be able to work in distracting environments. At first he found it to be very difficult but now he’s doing great. Thank you to all students, partners, blog readers, friends, training buddies and family! We’re looking forward to sharing yet another year with you!